A stay at Mantra On Edward places you in the heart of Spring Hill, within a 10-minute walk of Queen Street Mall and King George Square. 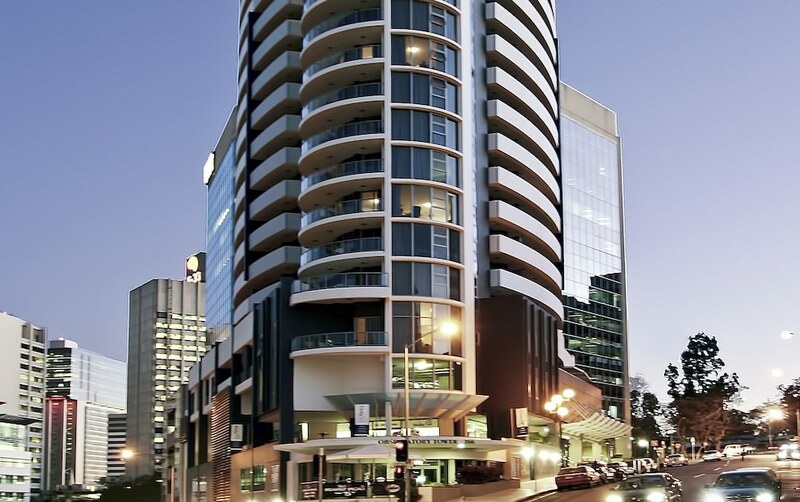 This 4.5-star aparthotel is 0.5 mi (0.8 km) from Roma Street Parkland and 0.4 mi (0.6 km) from Brisbane City Hall. Make yourself at home in one of the 114 air-conditioned rooms featuring kitchens with full-sized refrigerators/freezers and ovens. Rooms have private balconies. Cable programming and iPod docking stations are provided for your entertainment, while wireless Internet access (surcharge) keeps you connected. Conveniences include phones, as well as safes and separate sitting areas. Take advantage of recreational opportunities offered, including an outdoor pool, a sauna, and a fitness center. Additional features at this aparthotel include complimentary wireless Internet access and tour/ticket assistance. Featured amenities include a business center, express check-out, and a 24-hour front desk. Self parking (subject to charges) is available onsite.